Community colleges, along with other education-supporting organizations, continually work to promote student success with tools that encourage students to get involved in groups in school and in surrounding communities. That was the theme Tuesday on the third day of the League for Innovation in the Community College Conference. Richland College, one of seven fully accredited colleges in the Dallas County Community College District in Texas, has developed its own unique model. During roundtable discussions, Richland professors talked about ways to get students more involved with local and national matters. They presented statistics that suggested that millennials were not targeted as a group during the 2016 presidential election. In response to that data, Richland is now encouraging students to research issues that are important to them and to demonstrate that they want their voices to be heard when decisions are to be made, specifically in elections. The school’s student media club planned and broadcasted a town hall during which college students addressed issues such as immigration, guns on school campuses, jobs and other topics important to them. 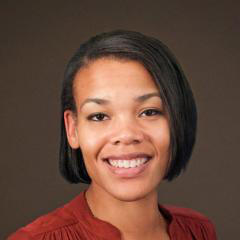 Erica Edwards, Richland’s lead faculty and program coordinator for the Department of Journalism, said the college’s diverse background allowed students to engage in a way that was respectful toward each other and created an environment where students learned to listen to one another before replying – one of the numerous tools Richland uses to promote student self-direction. Helping schools find ways to be flexible and accommodating in order to promote student success is part of the mission of Achieving the Dream, an organization that works with more than 220 community colleges and educational institutions in 40 states and the District of Columbia. Part of the mission of Achieving the Dream (ATD), a nonprofit education-reform movement based in Silver Spring, Md., is to close achievement gaps and increase the number of students who complete community college. McDonald said settings such as the League for the Innovation conference provides an opportunity for community colleges and other organizations dedicated to student support to gather, exchange successful strategies and make positive connections. An example of those kinds of connections is OpenStax, a nonprofit organization that partners with universities and community colleges to provide free ebooks, peer review journals, textbooks and low-priced technology for students. OpenStax, based at Rice University in Houston, is used by millions of students across the country, allowing them to save money on books that normally would cost hundreds of dollars. OpenStax is available to the non-student public, as well, and is expanding its range of subject textbooks. “As we’ve been growing, we’ve been branching out,” said Jeff DiGiovanni, associate director of customer support at OpenStax. OpenStax has attended the Innovations conference for the last four years and sees growth in use as a result of attending community college conferences, DiGiovanni said. Josh Wyner, vice president of the Aspen Institute and founder and executive director of its College Excellence Program, set the tone for the day by talking about the evolution of community colleges and the role of their leaders in advancing reforms to promote student success. The conference concludes Wednesday with final forums and a closing session led by Dr. Rufus Glasper, League for Innovation president and CEO.